When John Reich was hired by the United States Mint in 1807 he immediately set about redesigning all of the current coins. 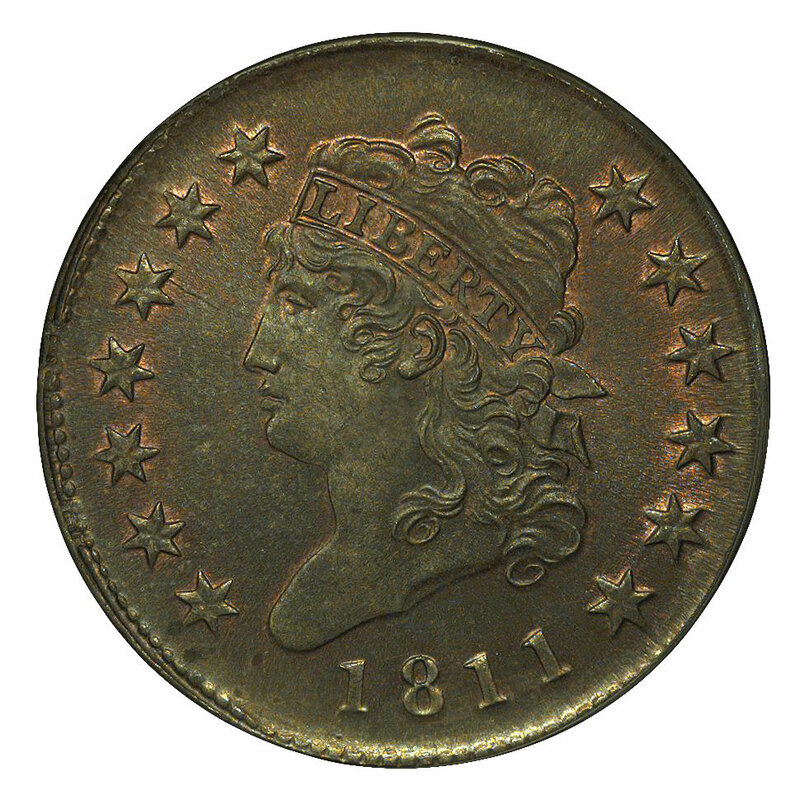 Produced only from 1808 through 1814, cents of his new type were ultimately known to numismatists as the Classic Head. This was a reference to the bust of Liberty wearing a headband inscribed with her name, a motif that some likened to classical Greek or Roman portraiture (for a time this name was used concurrently with the curious appellation Fillet Head). This attractive design was replaced in 1816 (no cents were struck dated 1815, due to a shortage of planchets). 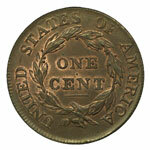 Despite being a relatively short series, Classic Head cents present a number of challenges to the collector. Chiefly these include the varying quality of the planchets employed and of the coins' striking characteristics. While a total of 19 varieties are known for seven dates, most of these are of interest only to the specialist. Yet, for those seeking only one of each date or just a single specimen for a type set, it still pays to know something about the individual issues. This is beyond the scope of my column, and I recommend the book United States Large Cents 1793-1814 by William C. Noyes. After a few years of attempting to roll and cut its own cent planchets the U. S. Mint began ordering them ready-made from the English firm of Boulton & Watt around 1796. This practice remained in effect through the end of the Classic Head series, though the interruption in supply caused by the War of 1812 prompted Mint officials to seek a domestic contractor. It was not until the 1830s, however, that an American company was able to match the prices being quoted from England, and all Classic Head cents were struck from planchets delivered by Boulton & Watt prior to the wartime embargo. These were evidently of lesser quality than those supplied previously or were poorly stored, as Classic Head cents of all dates and varieties are frequently found on dark and/or porous planchets. This is especially evident when examining uncirculated examples, but it may affect the grading of lightly worn pieces, too. In addition to these problems, the Mint during the years 1808-14 used dies way beyond their suitability. U. S. silver and copper coins from this period frequently reveal extremely worn and badly cracked dies. (Gold coins, struck in much smaller numbers, seldom show such die wear). Typically of mediocre quality to begin with, Classic Head cents are very difficult to locate in attractive condition. This is true whether one is seeking mint state coins or examples grading Fine. Truly uncirculated specimens are very scarce. 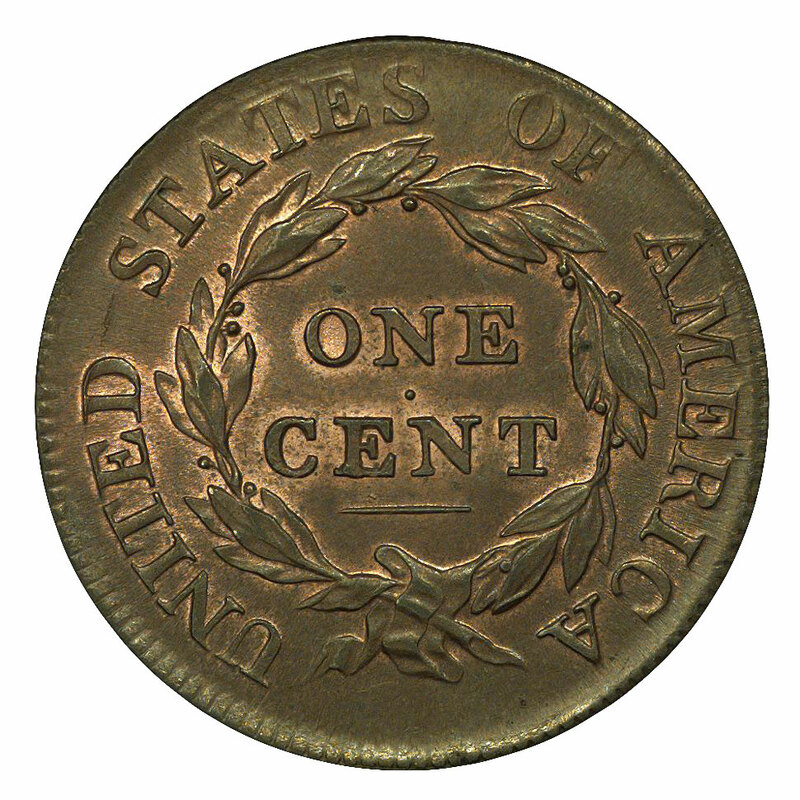 The date most often available uncirculated is 1814, while the 1812 cents place second in overall rarity. All other dates are genuinely rare in any mint state grade. Perhaps more practical for most collectors would be acquiring an example grading About Uncirculated. Such coins in choice condition are also very scarce, though 1814 is again the most often encountered date. Aside from the general scarcity of Classic Head cents in this grade, the discriminating buyer will need to look for coins having smooth planchets free of voids and porosity. In addition, many cents of this type have been improperly cleaned and retoned to make them more attractive. While this doesn't necessarily make them undesirable to the collector, it will preclude having them certified by the major grading services.